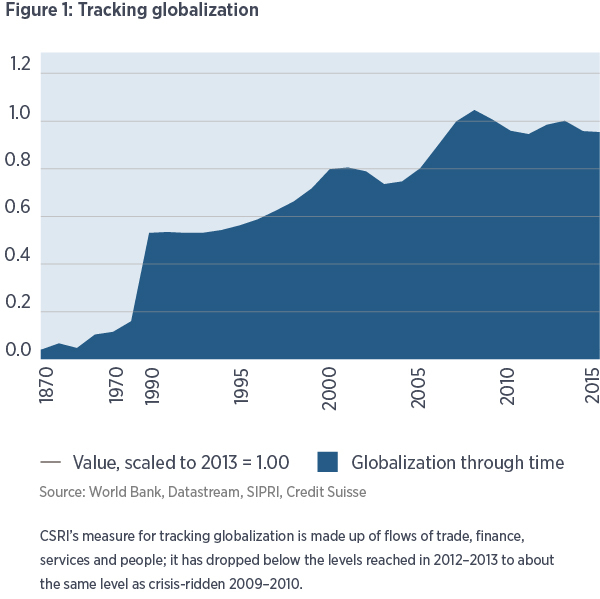 What Path Will Globalization Take Moving Ahead In To 2017? 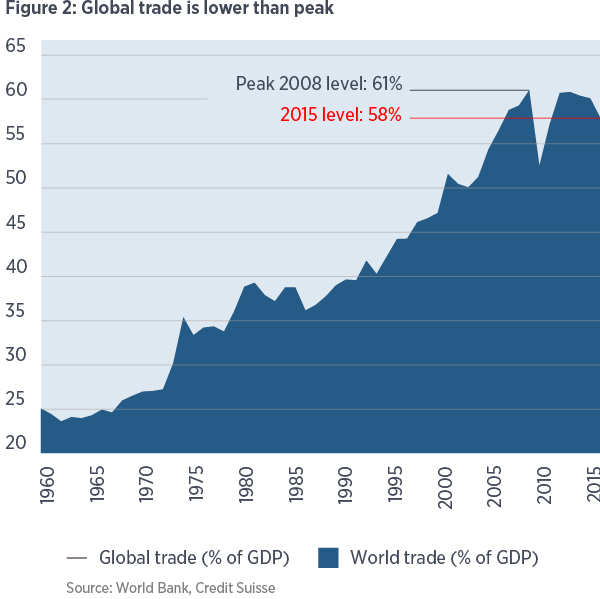 Are We Going To Witness The End Of Globalization? Are we going to see an end to the globalization phenomenon or will it persist for the next few years? Credit Suisse Research Institute has tried to answer this question in their report “Getting over Globalization”. The year 2017 seems to open a new era in the history of globalization. The long phase of globalization driven largely by western multinationals, markets and laws, combined with the startling rise in wealth in emerging economies seem to have come to the end. 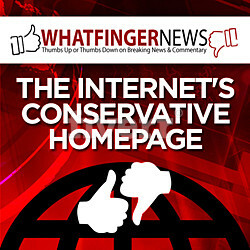 We witness the end of globalization. The Credit Suisse Research Institute is Credit Suisse’s in-house think tank. The Institute was established in the aftermath of the 2008 financial crisis with the objective to study long-term economic developments, which have – or promise to have – a global impact within and beyond the financial services. Globalization seems to be running out of steam: economic growth is slow, protectionism is spreading, and new regional powers are rising, undermining the existence of the unipolar world. Two events of the past year which happened against the general opinion – Brexit and the election of Donald Trump – have taught us to expect the unexpected. In short, it might be better to focus on creating a multipolar system that works well. The transition to a multipolar world, a scenario that appears preferable to an “end of globalization” outcome, seems to be underway already. Multipolarity, especially in its juvenile phase, is likely to be prone to policy errors, rivalries and geopolitical tensions. It might be worthwhile to attempt to establish a set of rules and appropriate institutions now, in order to frame multipolar stability. Why you should not short the SNAP yet?